The Abu Sbeikhah family home today. B’Tselem held initial inquiries into the Israeli response to yesterday’s killing of Israeli civilian Salah Abu Latif who was killed by a Gazan sniper yesterday. Among other actions, a tank fired three shells at the two-story home of the Abu Sbeikhah family. Their home is located in an agricultural area in al-Maghazi Refugee Camp, approximately 500 meters from the Gaza perimeter fence. The shelling killed toddler Hala Abu Sbeikhah (2 years, 8 months old) while she was playing in the yard of the family home. Hala’s aunt and two young cousins sustained injuries. The Abu Sbeikhahs reported that the military had been known to warn residents by loudspeaker of impending operational activity in the area and, accordingly, order them to vacate their homes. Yesterday’s shelling, however, was preceded by no warning. B’Tselem does not know the reasoning for the tank’s firing at the Abu Sbeikhah home. Hala’s uncle, who was outside during the firing, said there was no activity by armed Palestinians in the area at the time. The IDF Spokesperson announcement did not state the proposed object of the strike, apart from the laconic description of the attack on the central Gaza Strip as aimed at “a core of terrorist activity and terrorist infrastructure”. The IDF announcement also stated that “the targets were seen to have been hit precisely,” yet to the best of B’Tselem’s knowledge, the only casualties in of the military attack were the four members of the Abu Sbeikhah family. The IDF Spokesperson’s announcement did not address the harsh results of the shells fired. Deliberate firing at a home occupied by civilians, without its inhabitants having been given any prior warning and without the military ensuring that the civilians have vacated the premises, as appears to be the case in this situation, is unlawful. The military must launch an immediate investigation of the incident, including questioning those directly responsible for firing the shells as well as the senior commanders who ordered the attack. Also in response, the Israeli military yesterday closed Kerem Shalom Crossing, thereby barring the export of 16 tons of strawberries and 100,000 flowers scheduled for shipping to Europe. Hundreds of families are dependent for their livelihood on the sale of this produce abroad. The farmers will have no choice but to sell their goods locally at great financial loss. Moreover, according to information provided by Israeli NGO Gisha (Legal Center for Freedom of Movement) the military has also not allowed through hundreds of thousands of tons of fuel for the electric plant and the private sector. The fuel has not been allowed into Gaza despite the dire humanitarian situation there and the serious shortage of electricity and fuel at a time when the damage by the recent storms has not been overcome. Closing the crossing constitutes a collective punitive measure of the entire population of the Gaza Strip which violates the basic tenets of law and justice. Israel continues to demolish more Palestinian homes in the occupied West Bank amid UN concerns that the destructions “severely threaten” the lives of the families who lost their homes. The latest demolitions by Israeli bulldozers, which occurred near Ramallah and Jericho on Christmas Eve, have displaced over 70 Palestinians including at least 32 kids. According to a statement issued by the United Nations Relief and Works Agency (UNRWA) on Wednesday, a five-year-old Palestinian girl “who’s paralyzed from the waist down” is among those displaced by Israel’s latest move. The UNRWA also condemned the move, calling on Tel Aviv to immediately halt the demolitions. The UN relief agency said these acts violate the international law and leave thousands of Palestinians homeless in the cold. Israel has recently announced plans to build thousands of more illegal settler units on Palestinian territories, despite the opposition of the United Nations and the international community. The presence and continued expansion of Israeli settlements in occupied Palestine has been a major stumbling block to efforts aimed at establishing peace in the Middle East. 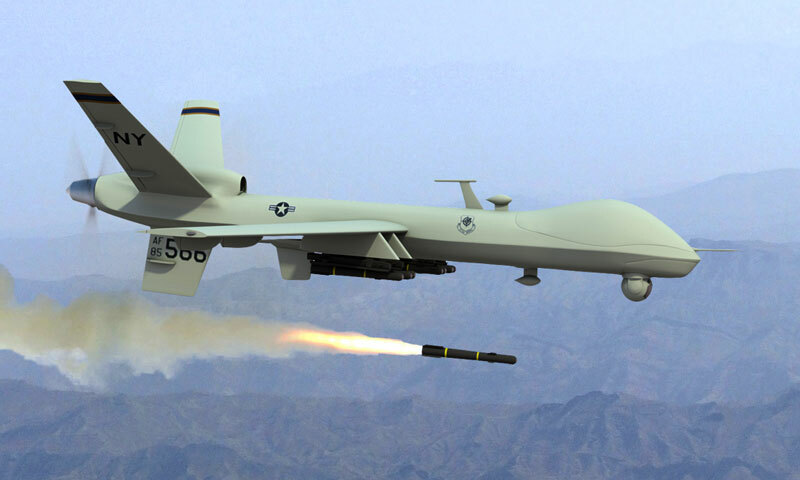 Two missiles have been fired by a US drone near Miramshah with no report of any casualties as yet, DawnNews reported early late Wednesday night. An extremist insurgency led by the Tehrik-i-Taliban Pakistan (TTP) plagues the region, known to be infested with militants including those from al Qaeda and other armed extremist organisations. Last month a US drone attack on a seminary linked to the feared Haqqani militant network in Khyber Pakhtunkhwa province in the northwest killed at least six people. RAMALLAH, West Bank — These days, life appears to be going along as normal for Palestinians in the West Bank and Gaza. Appearances can be deceptive, however. Prior to the 1987 intifada, too, things appeared to be normal — until they exploded, much to everyone’s surprise. But no one should be surprised if a new intifada erupts in the next few months. Many experts, even those within the Israeli security apparatus, like the former Mossad chief, Meir Dagan, are predicting it. We Palestinians are living through the worst situation in years. And, despite surface appearances of normal, mundane, routine everyday life under occupation, four significant factors have begun to interact that may disrupt the seemingly stable status quo. The first, and most potent, is the collapse of any hope that the occupation will ever end and Palestinians will attain their freedom and independence. This hope had allowed Palestinians to endure the daily injustices of occupation in the expectation of a better future. It is this same hope that led them to support negotiations with Israel and the idea of a two-state solution. Hope has always been correlated with the realities of the so-called peace process. When the latter seems promising, hope rises, and when the process stalls, so does the sense of hopefulness. The Palestinians’ strategic mistake was to think that conceding 78 percent of the land of historical Palestine in 1993 would be enough. It didn’t occur to them that Israel wanted to split this remaining land with them, leaving them with — in the best of cases — a state of leftovers. Israel’s current conditions for a Palestinian state would shatter Palestinians’ basic demands for liberty and independence. The promised Palestinian state will be nothing but a shadow entity completely ruled by Israel. And the price that is being demanded for this state is so exorbitant that the Palestinian Authority cannot sell it, nor can the Palestinians accept it. These pockets of land would be demilitarized, and Israel would have control over the borders, skies and natural resources. To get this, Palestinians must give up the right of return of diaspora Palestinians, and publicly declare that Israel is a Jewish state. This is a toxic cocktail perfectly mixed to produce a Palestinian uprising against the Israeli occupation, and the Authority as well — if the latter accepts these Israeli demands and yields to American pressure. The second factor is the spike in Israeli violations of Palestinian rights throughout the Occupied Territories. Israel seems to want to pre-empt the results of the current, ongoing negotiations by fortifying its presence and entrenching the facts on the ground in its favor. For this reason, Israel is frantically Judaizing Jerusalem, including daily attempts to impose its presence in the Al Aqsa mosque, increasing settlement inside the city, destroying Palestinian homes, and transforming Palestinians into temporary residents of the city. Meanwhile, the pace of land confiscation and settlement in the West Bank has accelerated rapidly; all of this has been accompanied by an increase in violence, in murders and arrests of Palestinians, in night raids on Palestinian villages and towns by the Israeli Army, in the uprooting of trees and the burning of fields, and in restrictions on transportation and the strangulation of economic life. In the meantime, Gaza has been transformed into a giant prison lacking the most basic amenities. The supply of electricity is lacking, rainwater mixed with sewage is flooding homes and the living standard is abysmal. To make things worse, President Obama has lately excluded Gazans from the forthcoming solution. The third factor is the sorry state of the Authority’s economic and financial affairs, which is adding to the misery of Palestinians living in the Occupied Territories. The Authority is the Territories’ largest employer, and it is currently experiencing a major budget deficit. Authority employees are no longer assured of a regular monthly paycheck, which has led to an increase in anxiety across the society. Without salaries, the economy will grind to a halt. The situation is made even more bleak because donors, both Arab and international, have decreased their financial support for the Authority; without this support, it cannot exist. In fact, the European Union, the Authority’s biggest source of funding, has begun to hint that it could cut off all of its funding if the political settlement process breaks down. This has added even more pressure on a leadership whose legitimacy is eroding quickly among the population. The Authority’s financial insolvency is creating more problems for Palestinians in the Occupied Territories, especially the young. Jobs are scarce, and unemployment rates have skyrocketed among Palestinian youth. Even those with jobs are no longer assured of a regular paycheck, which makes it difficult for them to repay bank loans, which many rely on to meet the rising cost of living. This uncertainty has produced a new source of anger among an already frustrated population. The final factor is the change and ferment that Palestinians see around them. The Arab Spring has sparked the sense of possibility among many young Palestinians. Young Arabs share their hopes and frustrations across social media networks; one of their recurring refrains is that Arab youth rose up against Arab leaders, so why should we not be able to rise up against a foreign occupier? All of this has put Palestinians on edge. For now, the Authority’s calls to contain the anger seem to be working, but it won’t for much longer. If nothing is done to quell the growing anxiety and rising hopelessness among Palestinians, it will only be a matter of time until the Occupied Territories explode. In this Dec. 23, 2013 photo, Syrian President Bashar al-Assad (L) speaking to Tim Anderson (C-R), a senior lecturer in political economy at Sydney University, during a meeting with an Australian delegation in Damascus. BEIRUT: The Syrian government and rebels in a besieged town near Damascus have reached a landmark truce agreement to allow aid access to trapped civilians, an activist told AFP on Wednesday. Under the truce in Moadamiyet Al-Sham, the official flag was raised over the area on Wednesday and will be flown for 72 hours, in exchange for much-needed food supplies for thousands of trapped civilians, said Abu Malek of the town’s opposition Local Council. “A truce came into force on Wednesday, and the people have accepted as a gesture of goodwill to fly the regime flag over the town’s water towers,” Abu Malek said via the Internet. “Food should be allowed into the town on Thursday. If this goes well, we will hand over the heavy weapons, but the regime army will not enter the town,” he added. “Then in the next phase, people who were displaced should be allowed to return home, without being arrested, and the checkpoints around the city must be removed,” said Abu Malek. A source close to Assad’s regime confirmed that there had been a truce agreement, but said the army would enter into the town in order to ensure all the weapons had been handed over. According to Abu Malek, Moadamiyet Al-Sham residents are divided over the agreement. Some believe “it is more important to feed the civilian women and children,” while another, more radical section of the opposition, does not want to be perceived as giving in, he said. “But either way the revolution continues, and we will see what the regime has to offer. If they honor the conditions, then very well. If not, then it will be back to fighting,” said Abu Malek. He noted that on Wednesday, there was no shelling on the town for the first time in many months. In October, some 3,800 civilians were evacuated from Moadamiyet Al-Sham by the Red Crescent in coordination with the Syrian authorities and the opposition. According to the Syrian Observatory for Human Rights, Moadamiyet Al-Sham was originally home to some 15,000 people. BETHLEHEM (Ma’an) — President Mahmoud Abbas said Tuesday that in a few days the next batch of veteran prisoners will be released from Israeli prisons. Abbas congratulated Palestinians on the occasion of Christmas and expressed his hopes that Palestinians will achieve unity and independence in the coming year. GAZA CITY (Ma’an) — Hundreds of mourners in Gaza Wednesday attended the funeral of a 3-year-old girl who was killed by Israeli forces the day before. Hala Abu Sbeikha, who was killed by an Israeli airstrike Tuesday, was buried in al-Maghazi refugee camp in the central Gaza Strip on Wednesday. Hala’s father carried her body to his house, where family members bid her a final farewell, then brought her to the refugee camp’s cemetery amid hundreds of mourners. “The area was quiet before the missile landed,” she said. Israel launched airstrikes across the Gaza Strip Tuesday, killing Hala and injuring her mother and brother, after an Israeli Civil Defense worker was shot dead by a Palestinian sniper at the border in the northern Gaza Strip on Tuesday afternoon. Turkey’s Prime Minister Tayyip Erdogan applauds the members of his ruling AK Party (AKP), as he attends a meeting at his party headquarters in Ankara Dec. 25, 2013. Turkish Prime Minister Recep Tayyip Erdogan presented a new list of cabinet ministers to President Abdullah Gul on Wednesday after three ministers stepped down over an investigation into a massive corruption and bribery scandal, Turkish media reported. It was unclear if more than the resigned ministers had been replaced. Erdogan is expected to make a statement later amid the spiraling corruption scandal. Environment minister earlier became the third cabinet member to resign and called on the prime minister to step down as well. “I am stepping down as minister and lawmaker,” Erdogan Bayraktar told the private NTV television. “I believe the prime minister should also resign,” AFP reported. The move came shortly after Economy Minister Zafer Caglayan and Interior Minister Muammer Guler announced their resignations. The sons of Guler and Caglayan are among the two dozen people who have been charged as part of a high-level bribery and corruption probe that has ensnared close government allies and top businessmen. They are currently in detention. The son of Bayraktar was detained last week as part of the probe, but has not been formally charged and has been released pending trial. Bayraktar was the sole minister to call on Prime Minister Erdogan to follow suit. “There is nothing in the investigation file that hurts me or that I cannot explain,” he said. “It’s prime minister’s natural right to work with or remove whichever minister he would like to,” he added. In his first public appearance after the resignations, the prime minister, who during three terms in office has transformed Turkey by tackling its once-dominant secular military and overseen rapid economic expansion, appeared unmoved. 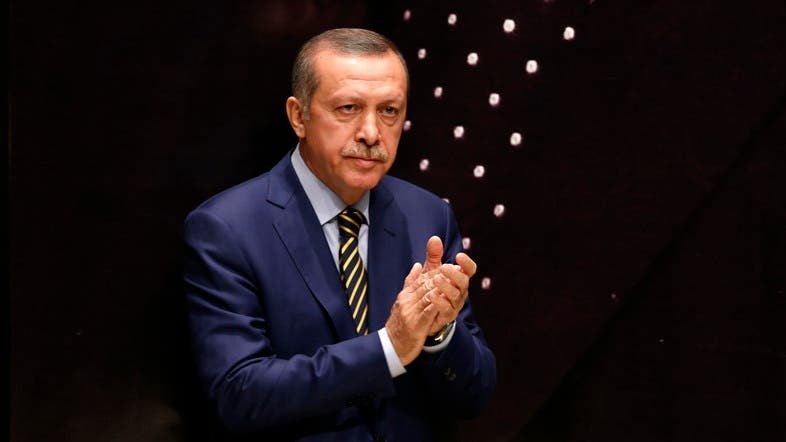 Prime Minister Erdogan said in a speech that he would not tolerate corruption. But, having responded to the Dec.17 graft arrests by sacking or reassigning around 70 of the police officers involved, he argued that their work had been deeply tainted. “If a verdict is made by the opposition party on the second day of the investigation, what’s the point of having judges? If a decision is made by the media, what’s the point of having these long legal procedures?” Erdogan told provincial leaders of his Islamist-rooted AK party. Erdogan’s critics see an authoritarian streak in his rule. The European Union, to which Turkey has long sought accession, on Tuesday urged Ankara to safeguard the separation of powers. “The only way you can explain an interior minister removing the police chiefs working in an investigation regarding his own family is that the aim is to obstruct evidence,” said Prof. Caliskan, who writes for the centrist newspaper Radikal. Turkey’s next parliamentary election is not until 2015, but local elections are due in March. Pollsters see a modest erosion of AK’s popular support so far, but say it could gather pace. The scandal has laid bare rivalry between Erdogan and Fethullah Gulen, a U.S.-based Turkish cleric whose Hizmet (“Service”) movement claims at least a million followers, including senior police officers and judges, and which runs schools and charities across Turkey and abroad. While denying any role in the affair, Gulen described Erdogan as suffering “decayed thinking” after the premier portrayed himself as fending off a shadowy international plot. DAMASCUS (AFP) — Damascus signed a major oil exploration deal with a Russian company in the Syrian capital Wednesday, which will allow for exploration in a section of Syrian waters, an AFP journalist said. The deal was signed by Syrian Oil Minister Suleiman Abbas, Syria’s General Petroleum Company and the Russian Soyuzneftegaz company, the journalist said. CAIRO (AFP) — Egypt’s military-installed government declared the Muslim Brotherhood movement of ousted president Mohamed Morsi a “terrorist” group Wednesday, banning all its activities, including demonstrations, ministers said after a cabinet meeting.